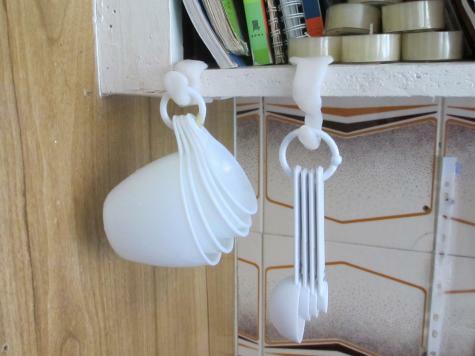 Demi made two Plastimake kitchen hooks for hanging up her measuring cups. These Plastimake hooks clip directly onto the shelf. 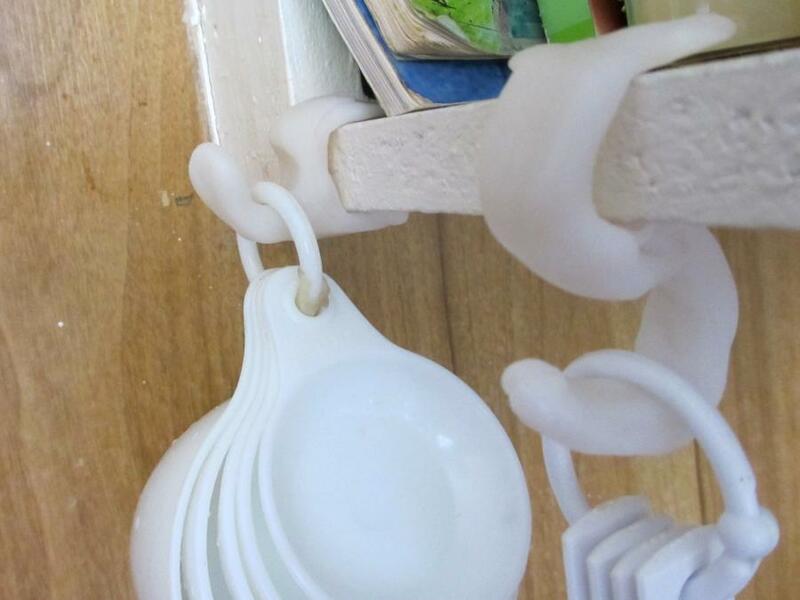 Because the measuring cups aren't very heavy, there's no need for any wood screws or adhesives to attach the hooks. This makes it an ideal solution for non-destructive rental living! We're slowly accumulating quite a large collection of Plastimake hook examples. We've now seen curtain hooks, key hooks, shower hooks, bathroom hooks, bag hooks and door hooks.